We propagate | Greaux Native! A major part of our mission is to make native plants available to the public. While we work to increase demand for native plants that could support local growers and nurseries, we have committed to propagate over a dozen favorite local species for sale at spring plant festivals such as Festival des Fleurs in Lafayette, LA and Sunset Herb Festival in Sunset, LA. 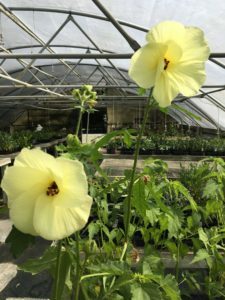 We propagate plants from seeds and cuttings from local sources and members at the June Walker Memorial Greenhouse, which was bequeathed to ANPP by the family of our friend and founding member of ANPP. 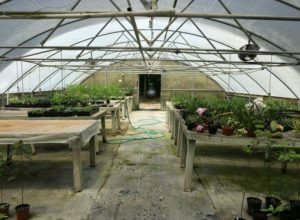 Thanks to her family, generous donations of time and money from ANPP members and friends, and a fruitful collaboration with Nunu Arts and Culture Collective, June’s greenhouse is up and running at Teche Farm in Arnaudville, Louisiana. June’s Greenhouse Dedication on September 20, 2018 got local news coverage.